Fans of The Walking Dead (and aren't we all? 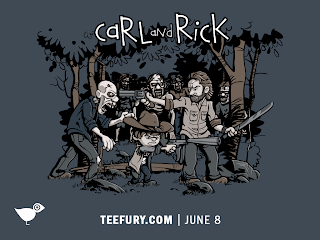 ), you are going to want this: a cool T-shirt with of a graphic of Carl and Rick in the woods surrounded by zombies. Artist David Johnston has done a super job of capturing the pair. Carl's got his gun at the ready and his dad's hat on. Rick's in super sheriff mode toting a shotgun and a machete. 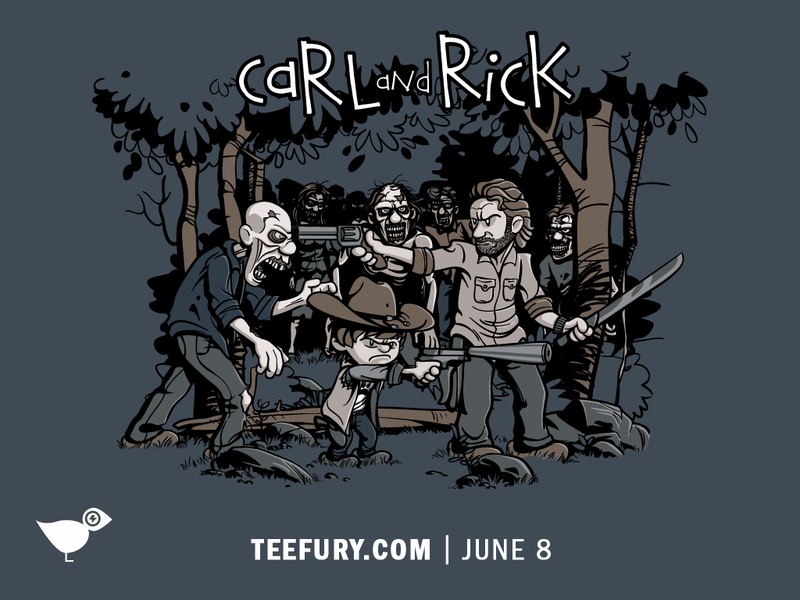 Hurry to TeeFury.com because this limited edition is available only until midnight tonight. And don't forget to visit Johnston's Facebook page for a look at more from this talented artist.